North Shore Primary Care (Libertyville) - Book Appointment Online! Please remember, if you are booking an Annual Physical, we advise you not to eat after midnight if it's a morning appointment, or to have an 8 hour fast if it's an afternoon or evening appointment. 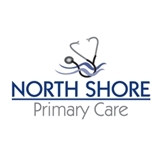 Welcome to North Shore Primary Care, where our goal is to deliver high-quality medical care in a comfortable and reassuring setting. Our doctors continually stay up-to-date with the latest advances in medicine. We take the time to sit and listen to your specific concerns. We emphasize wellness and will work with you to help you achieve your healthiest state possible. We are available to manage your medical needs and to be your partner on the road to excellent health! She was very thorough and took the time to ask lots of questions.